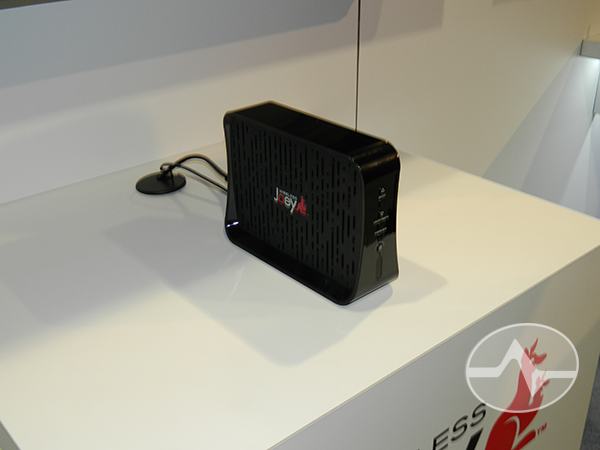 The good news is that we got a little better bandwidth and can show you some pictures from DISH’s booth at the 2014 International Consumer Electronics Show. The DISH booth was hopping (pun intended) and one of the celebrities of the DISH world, DISH President and CEO Joe Clayton, was the center of attention. 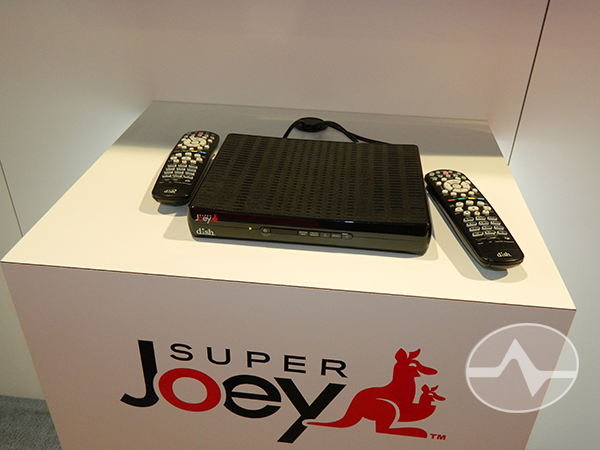 What you’ll see from the photo above is that the LG TV running the Virtual Joey app can use its own version of the DISH remote. This makes learning the app even easier. It looks like it’s also possible to use the regular LG remote for some things but you need the DISH remote for the full experience. THIS is the Wireless Joey. It’s a small box, about the size of the regular Joey, but with a pattern on the side that makes some people wonder if it spells anything in Morse Code. One curious feature on the back of the Wireless Joey is an Ethernet port… what could it be used for? The Video Bridge module looks almost exactly like the Wireless Joey but it has indicator lights on the front where the Wireless Joey does not. 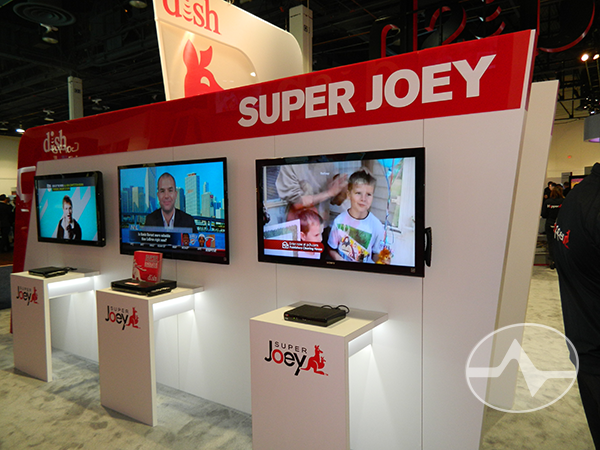 DISH was very hot on the Super Joey because it’s the closest to actual production. They had about six of them on display. The Super Joey is a little bigger than a regular Joey and seems to want to sit horizontal where the regular Joey likes to be vertical. 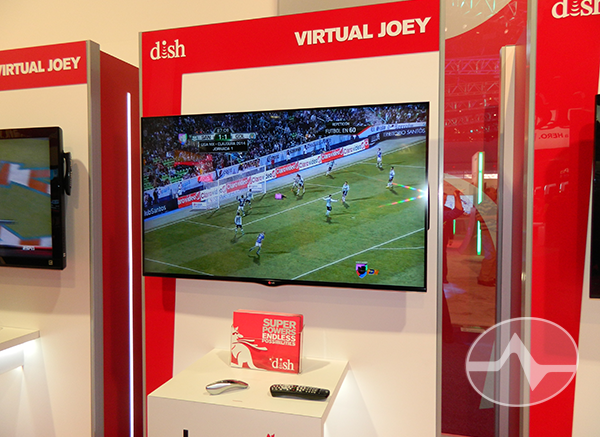 There’s no question that CES is a huge show for DISH. Their signage and characters were everywhere and they must have spent a lot of money. Let’s hope that it pays off for them in 2014. Where can you get the highest quality pay-per-view movies? 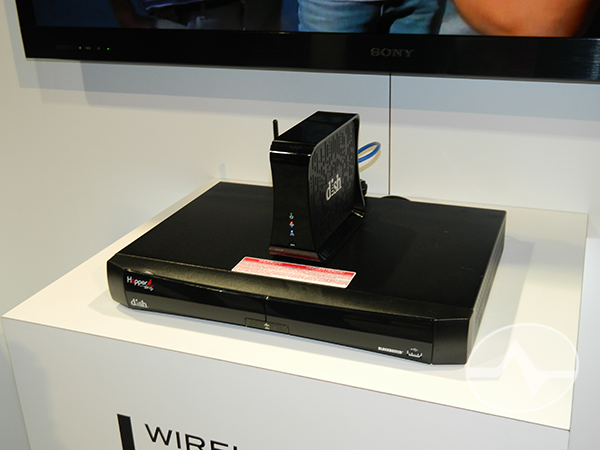 Why should you call Solid Signal to activate your new satellite receiver?